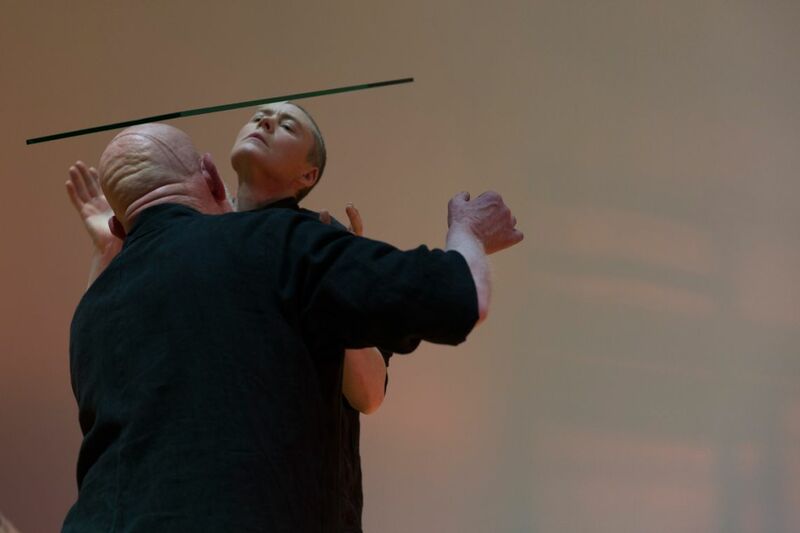 Long durational performance Let Liminal Loose in collaboration with Alastair MacLennan (2014). Sandra Johnston & Alastair MacLennan, Let Liminal Loose. Venice International Performance Art Week (2014). Photographs by Monika Sobczak. Born in Northern Ireland in 1968. Lives and works in Newcastle, UK. Sandra Johnston's practice is essentially site-reactive. The processes, which she has evolved since 1992, have consistently explored ideas of active intervention, regarding both the history and present functionality of selected environments. The focus is generally centred on human behaviour, particularly to a sense of territorial ownership and permission of space. Creating situations, which can alter audience¹s perceptions about a place through a quality of observation, bringing forward small or hidden aspects in apparently mundane spaces. Each action is based on improvising with whatever materials and architectural features are immediately available on site. Sandra Johnston has been a lecturer and researcher since 2002, and recently published her PhD project entitled, Beyond Reasonable Doubt: An Investigation of Doubt, Risk and Testimony Through Performance Art Processes in Relation to Systems of Legal Justice, 2013 with LIT. 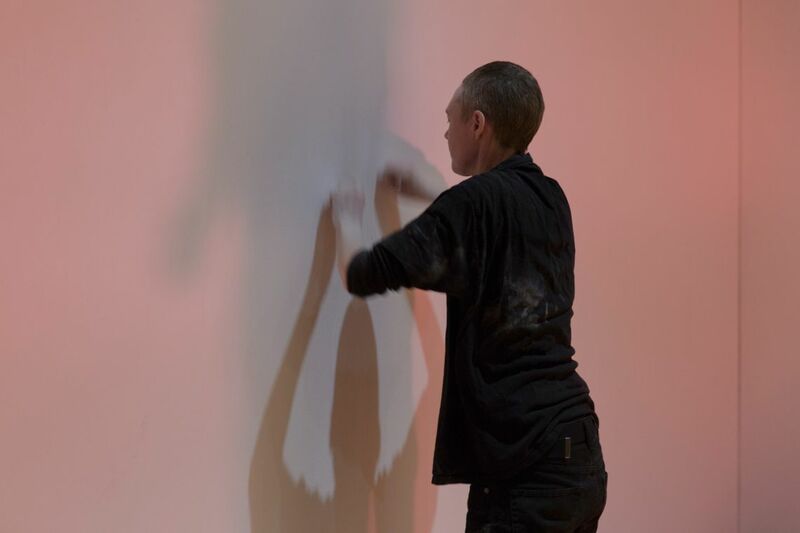 At the VENICE INTERNATIONAL PERFORMANCE ART WEEK 2014, Johnston collaborates with Alastair MacLennan for the long durational performance and installation Let Liminal Loose. MacLennan and Johnston have been developing collaborative actions together since 2009. These duets occur only occasionally, but, with great care and openness apparent in the relationship between both artists, sustained by a shared desire to keep each situation direct and without contrivance. The collaboration is a subtle method for both to reappraise their working methods, whilst producing unique situations of connectivity and experimentation. Sandra Johnston & Alastair MacLennan, Let Liminal Loose. Venice International Performance Art Week (2014). Photograph by Monika Sobczak.